Every four years, an extra day is added to the calendar in order to synchronize it with the solar year. It takes the earth 365.242 days to orbit the Sun. For this reason, the full day is only added once every four years. The extra day, called leap day or intercalary day, is added at the end of February, giving it 29 days instead of 28. Leap year occurs in every year that is divisible by four and only in century years that are evenly divided by 400. For example, 800, 1200, 2000 were leap years but 1700 and 1900 were not because they are not divisible by 400, even though they are divisible by four. The practice of adding the extra day began with the creation of the Julian calendar and a decree by Julius Caesar in the year 46 B.C. The Julian calendar creates an extra day every four years, and does not follow the century-divisible-by-400 rule so there is still an 11-minute, 14-second discrepancy each year. The 11-minute discrepancy in the Julian calendar had added up to ten days by the year 1582 A.D. so Pope Gregory XIII created the Gregorian calendar and dropped ten days from the month of October. He also established February 29 as the official date to add during a leap year, coined the term leap year, and created the rules for adding the leap year. Currently the solar year is approximately 26 seconds shorter than the Gregorian year. In the U.S., leap year coincides with presidential election years. The Moon today is in a Waxing Crescent Phase. A Waxing Crescent is the first Phase after the New Moon and is a great time to see the features of the moon’s surface. During this phase the Moon can be seen in the western sky after the sun dips below the horizon at sunset. The moon is close to the sun in the sky and mostly dark except for the right edge of the moon which becomes brighter as the days get closer to the next phase which is a First Quarter with a 50% illumination. Posted on February 10, 2016 by ladyoftheabyssPosted in Articles, Current Moon Phase, Daily PostsTagged 50% illumination, brighter days are closer, Current Moon Phase, first phase, First Quarter, Moon's surface, mostly dark, New moon, right edge of moon, sky, Sun, Waxing Crescent, western sky. The Moon today is in a Waning Crescent phase. In this phase the Moon’s illumination is growing smaller each day until the New Moon. During this phase the Moon is getting closer to the Sun as viewed from Earth and the night side of the Moon is facing the Earth with only a small edge of the Moon being illuminated. This phase is best viewed an hour or 2 before the sunrise and can be quite beautiful if you’re willing to get up early. It can also be a great time to see the features of the Moon’s surface. Along the edge where the illuminated portion meets the dark side, the craters and mountains cast long shadows making them easier to observe with a telescope or binoculars. Posted on February 4, 2016 by ladyoftheabyssPosted in Book of SpellsTagged Earth, Moon's illumination, Moon's surface, New moon, night side of the Moon, rising early, smaller, Sun, Sunrise, Waning Crescent. Posted on February 3, 2016 by ladyoftheabyssPosted in Articles, Current Moon Phase, Daily PostsTagged Dark Side of the Moon, Earth, moon phase, Moon's illumination, Moon's surface, Sun, Sunrise, telescope, Waning Crescent. Posted on January 27, 2016 by ladyoftheabyssPosted in Articles, Daily PostsTagged abrupt changes, Communication, Divination, Fun, Games, Gemini, Honeysuckle, Inauguration Day, Mercury, moon phase, moon sign, personal freedom, rebellious energy break habits, Second Quarter, shortcuts, study, Sun, Swiss, The conscious mind, Travel, Virgo, Vogelgruff, Vogelgruff (Swiss), waning moon, waxing moon, Wisdom, Witches Almanac. On Sunday, work for success, healing and blessings. 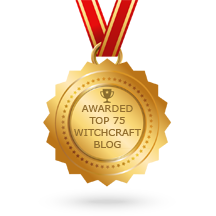 Posted on January 24, 2016 by ladyoftheabyssPosted in Articles, Daily PostsTagged A rooster, Cinnamon, gold jewelry, healing and blessings, Hearth Magick, Home Magick, orange peel, success, Sun, Sunday, The Sun, Yellow and gold. The first day of the week is ruled by the Sun. It is an excellent time to work efforts involving business partnerships, work promotions, business ventures, and professional success. Spells where friendships, mental or physical health, or bringing joy back into life are an issue work well on this day, too. Posted on January 24, 2016 by ladyoftheabyssPosted in Articles, Daily PostsTagged Advancements, Amber, and professional success, Beech, business partnerships, business ventures, Buttercup, Carnelian, Cedar, Citrine, Clear Quartz, Enlightenment, Exorcism, First Day of the Week, Frankincense, Gold, growth, Healing, Heliotrope, Hope, Lemon, Leo, Marigold, Michael, Money, Neroli, Oak, Orange and White, Prosperity, Rational Thought, Rosemary, Sun, Sunflower, Tiger's Eye, work promotions, Yellow. Sunday(Sun): Healing, spirituality, success, strength and protection. Posted on January 24, 2016 by ladyoftheabyssPosted in Articles, Daily PostsTagged (Bolivian), Alasitas Fair, Draw things toward you, Full moon, Heliotrope, Leo, Leo The Lion, moon phase, New moon, Second Quarter Moon Phase, Sun, Sunday, Third Quarter, Witches Almanac. 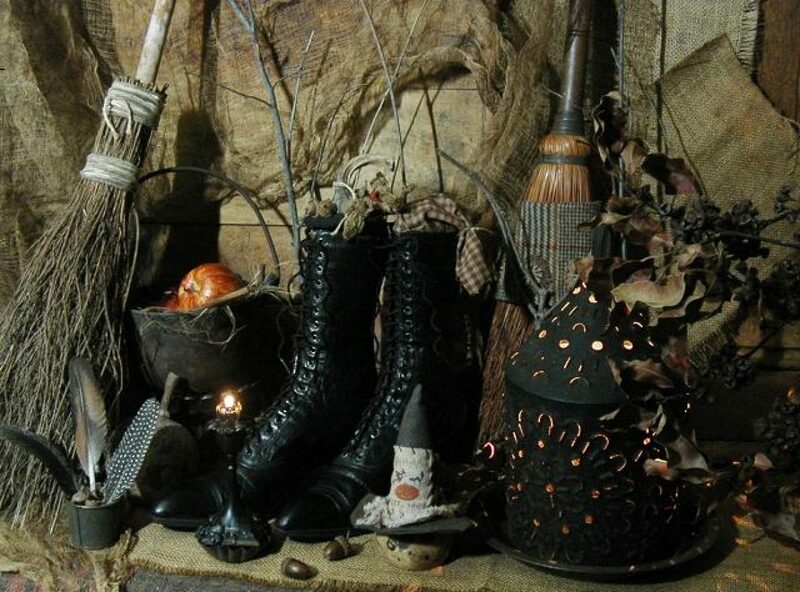 Posted on January 24, 2016 by ladyoftheabyssPosted in Articles, Daily PostsTagged Brigid, cinnamon rolls, dried marigold petals, Fruit, gold jewelry, Helios, Imagination, luminous colors, lunch, magickal aromatherapy, shine, Sun, Sunday’s Witchery, Sunna. Power Hours: Sunrise and sunset. It is easy to spot the ruler of this day by its name. Sunday is the day of the sun. Community work, volunteer services, exercise, outdoor sports, buying, selling, speculating, meeting people, anything involving groups, running fairs and raffles, growing crops and taking care of all health matters fall under the influence of the Sun. With all this activity and the brightness of the sun, it’s easy to see why the child that is born on the Sabbath day is bonny and blithe, and good and gay. Michael is the primary angel of Sunday but each hour of this day also has it’s secondary angel. These angels are Michael (first hour), Anael (second hour), Raphael (third hour), Gabril (fourth hour), Cassiel (fifth hour), Sachiel (sixth hour), Samael (seventh hour), Michael (eighth hour), Anael (ninth hour), Raphael (tenth hour), Gabriel (eleventh hour), and Cassiel twelfth hour). Notice some of the angels do double duty this day. On Sundays, (unless you are invoking a specific angelic energy) the hour of sunrise will be the most powerful time to work, especially if you want to infuse energy into your work. Sunset is the second best time and is favored when you need to calm down a situation. Check the local newspaper, astrological calendar, or almanac to determine your local sunrise. Posted on January 24, 2016 by ladyoftheabyssPosted in Articles, Daily PostsTagged Anael (ninth hour), Anael (second hour), and Cassiel twelfth hour), anything involving groups, buying, Cassiel (fifth hour), Community work, exercise, Gabriel (eleventh hour), Gabril (fourth hour), Happiness, Health, Love, meeting people, Michael (eighth hour), Michael (first hour), outdoor sports, Raphael (tenth hour), Raphael (third hour), running fairs and raffles, Sachiel (sixth hour), Samael (seventh hour), selling, speculating, Sun, Sunday, Sunrise, Sunset, volunteer services, Wealth.